New Chapter Added to Reinventing The Tattoo by Guest Writer Halo! It took a while, but at this point in the evolution of the tattoo profession a good many of us are using computers for design preparation purposes, In particular, Adobe Photoshop has become an industry standard for everything from portfolio work to advertising graphics, but in particular has taken a major role in creating, altering, compositing and making stencil-ready tattoo designs of all types. Recently we added a Photoshop DVD to our catalog from the artist Halo, who distinguished himself last year in Spike TV's Inkmasters. 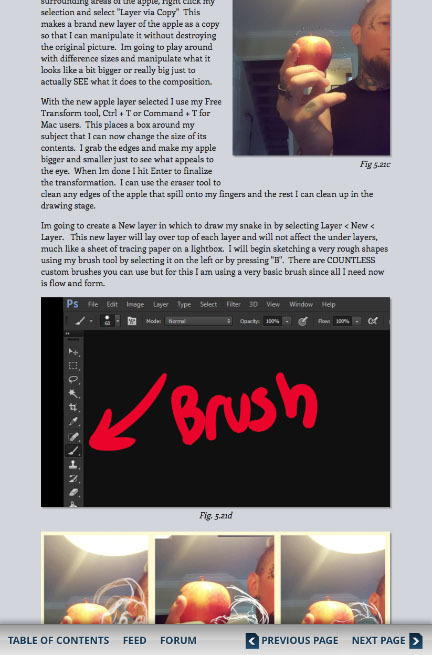 It's a great introduction to Photoshop for anyone wanting to take this step, but it also contains many things that even a seasoned digital artist may not know about. 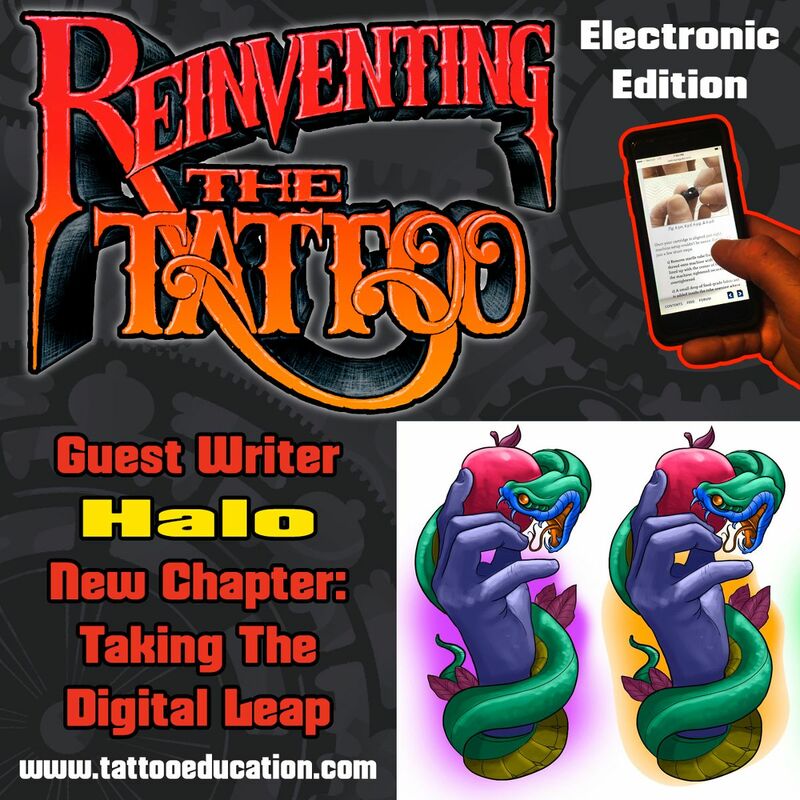 I was impressed enough that I asked Halo to write a chapter for the electronic edition of my educational package Reinventing The Tattoo. It's now plugged in and looks great, with some great tricks for using real-life objects as the basis for a drawing that can be then run through a variety of different color schemes. This is an example of how digital tools can empower an artist, with the drawing itself still coming from the artist's hand, but the digital tools are there for exploring the possibilities of that drawing far beyond what any analog medium allows for. Reinventing The Tattoo is the electronic edition of my 2009 book and DVD package, with all chapters updated and new ones added, including guest chapters by Halo, Russ Abbott, Nick Baxter, Megan Jean Morris and Don McDonald, with other guest chapters being worked on right now by a number of industry leaders with vast experience in both tattooing and teaching. The Reinventing package will continue to expand and evolve in the months and years to come. Drop by ReinventingTheTattoo.com to read more about it. And if you're already a member, log on and check out Halo's chapter! We also just added a bunch of useful new body part templates in the Flow&Fit chapter.